Chelsea lost 2-0 to Liverpool last night in what was a presentation of Chelsea's attitude and mentality this season. The loss now puts them in a poor position to get into the top four and it could have serious implications on Chelsea as a club. Some serious thinking is required from the manager to make the most out of the few matches left. Chelsea's top four chances are looking dark now as other teams are yet to play. Their best way to get into the Champions League next season looks like the Europa League where they play Slavia Prague in the return leg at Stamford Bridge. Chelsea this season have played their possession-based football throughout the season and have opted to defend deep with the hope of a quick counter against the bigger teams. While this approach has worked to an extent this season with Chelsea defeating Manchester City and Tottenham, Chelsea needs a clearer and efficient plan to work. Chelsea often looked clueless at times yesterday and were just happy to make blind clearances, making them look like a bottom table team looking to just defend. Chelsea players are stuck between possession-based football and counter-attacking football in these matches and seemed to lack a cutting edge. 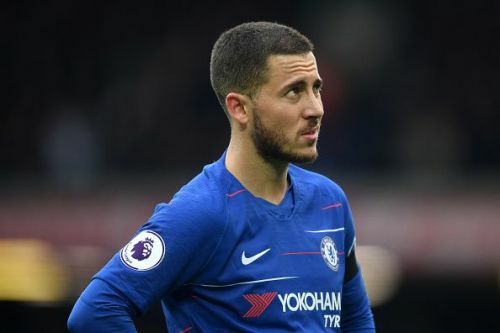 Eden Hazard, Chelsea's anchor, has his best position on the Left Wing but was put in a central role and couldn't do much against the likes of Virgil van Dijk and Matip. Liverpool always looked like scoring and the goal seemed inevitable. Being defensively solid is one thing, but just sitting deep and allowing the opposition to continuously keep weaving chances is outrageous for a team like Chelsea and something which isn't acceptable by the fans.